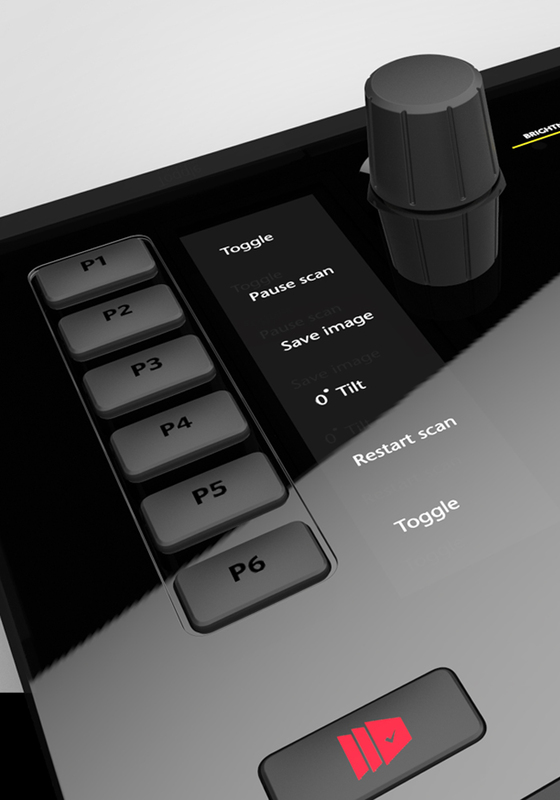 The MUI or Manual User Interface by FEI is the desktop device used by researchers to control a dual-beam electron microscope. It is an extremely powerful tool, typically used in the Material Sciences field, to either better understand the structural and compositional details of materials or to create fully functional prototypes at nanoscale level. 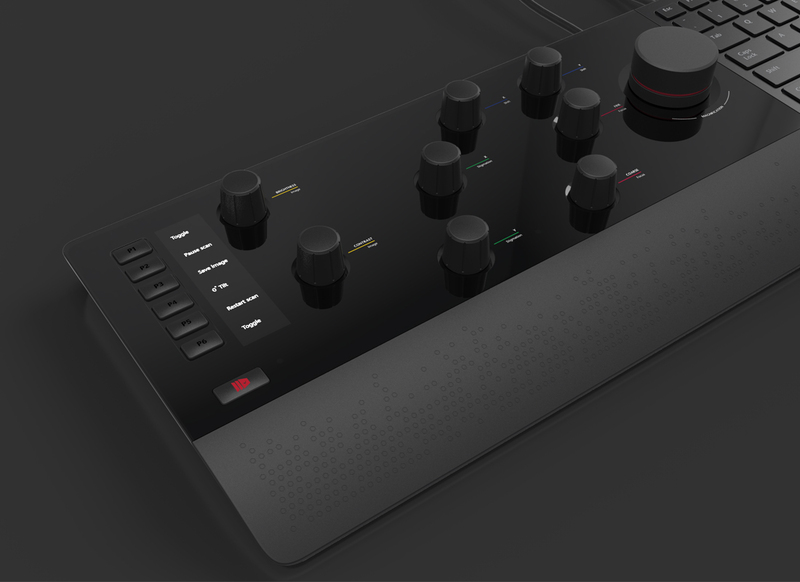 The MUI is typically used simultaneously with a standard keyboard and mouse where the operator moves between manipulating MUI controls, navigates through the UI with mouse clicks and stretches to use keyboard inputs. 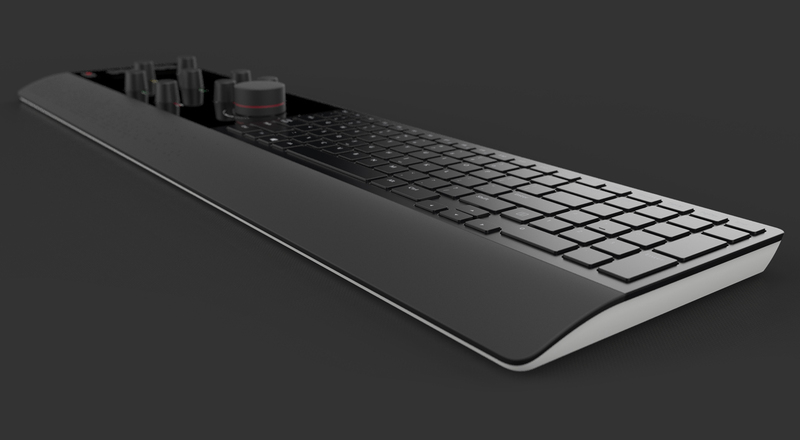 While working with FEI on the design of their Helios G4 product we recognised that their MUI device was competing with a standard full size keyboard for desktop real-estate, instead of working in harmony with it. We saw this as a strategic opportunity for FEI to build a stronger presence on operator’s desktop and to offer a differentiated solution to real customer needs. The challenge for Design Partners was to create a desireable and more efficient solution that addressed very specific ergonomic constraints where the MUI, keyboard and mouse controls were aligned with existing user workflows. Together with FEI we established the goal of connecting the user directly to the FEI brand by reclaiming the desktop with an ergonomically optimal interface – the primary touchpoint between the user and the scientific power of the FEI research solutions. Design Partners approach was to employ a process rooted in the application of Human Factors Engineering (HFE) with a core focus of engaging a broad spectrum of users who used the MUI for a variety of purposes in different industry sectors, from life-sciences to semi-conductor manufacturing. This gave the team a complete picture of user requirements, preferences, workflows and any unmet needs. Ultimately, our collective focus was that the end solution was ergonomically optimal and well received by end users who were used to very specific workflows and preferences. To achieve this, end users were reengaged several times over the duration of the project; during the initial immersion phase to help inform and impart insights, as concepts were being created to help validate proposals and again as the design was refined, they were consulted to ensure that the usability intent defined in early research was being met or surpassed. Together with FEI we established the goal of connecting the user directly to the FEI brand by reclaiming the desktop with an ergonomically optimal interface. Created in close collaboration with end users and the FEI team, the MUI has been designed to seamlessly align with operator’s ergonomic needs while exceeding their demands for operational efficiency. A clear hierarchy has been applied to all controls in terms of their positioning and priority which minimises user reach and travel between controls. Tactile touch points ensure that the MUI is a highly intuitive interface, designed for prolonged use in a demanding and fast paced environment. The design aesthetic is clear, simplified and appropriate for modern, cutting edge laboratories and research facilities. The FEI MUI designs have been awarded two prestigious, international 2017 iF Awards.